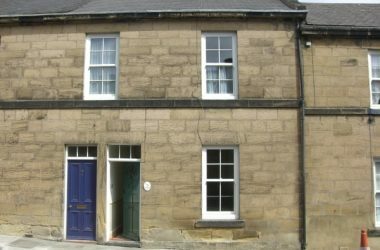 Hollyhocks is a comfortable, homely Edwardian end terrace two bedroomed house situated in the historic and picturesque market town of Alnwick and very convenient for the town’s facilities & attractions. 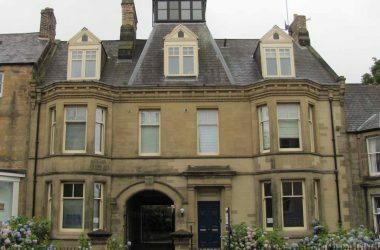 The house is centrally heated with hot water on demand.The kitchen is fully equipped including a fridge and separate freezer, microwave, electric oven, dishwasher, washing machine and a radio. 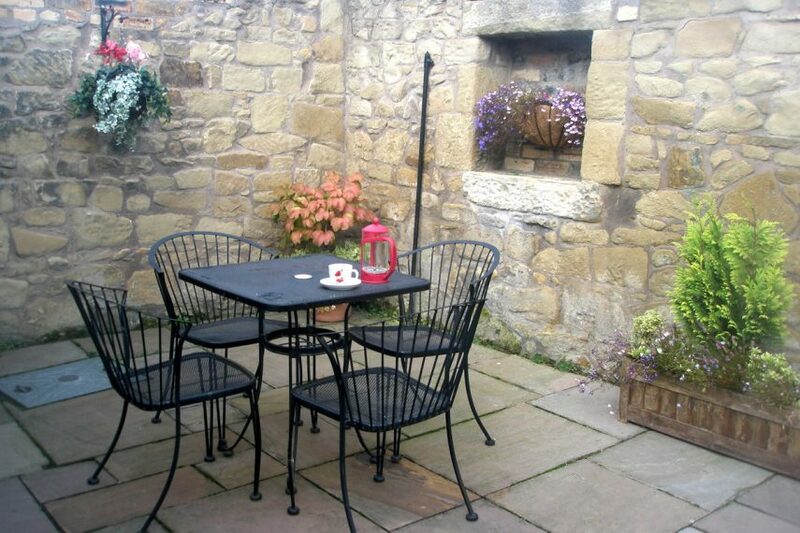 A kitchen extension leads onto a sunny, private sandstone paved patio area with a table and four chairs. A secure side door leads from the patio onto the street. 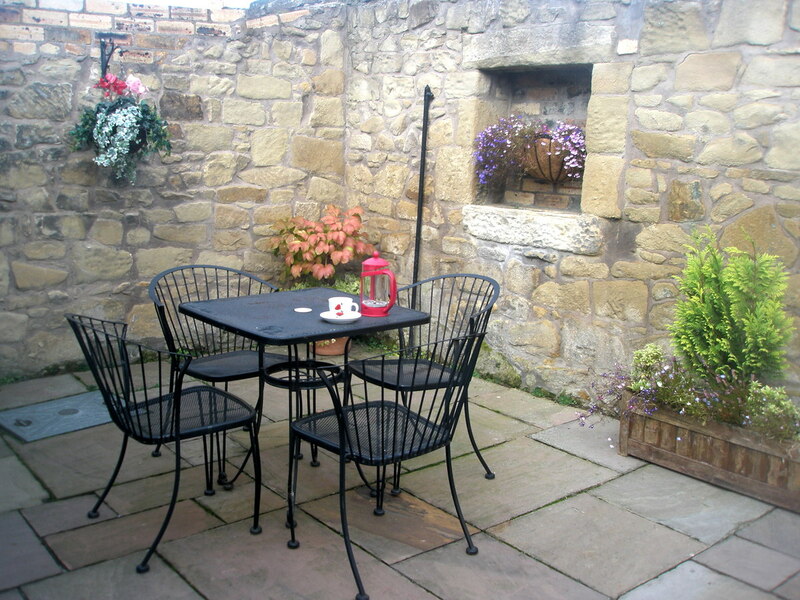 As the patio is secure it is ideal for storing bicycles. 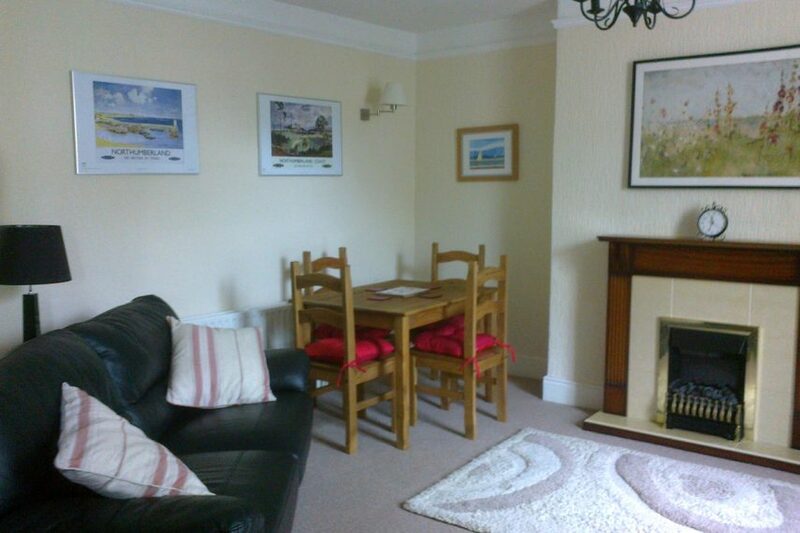 The large living/dining room has two comfortable two seater sofas, a television with freeview channels, a dvd player and an i-pod dock. There is a dining table with four chairs and a coal effect electric fire. A selection of books and information leaflets is available. 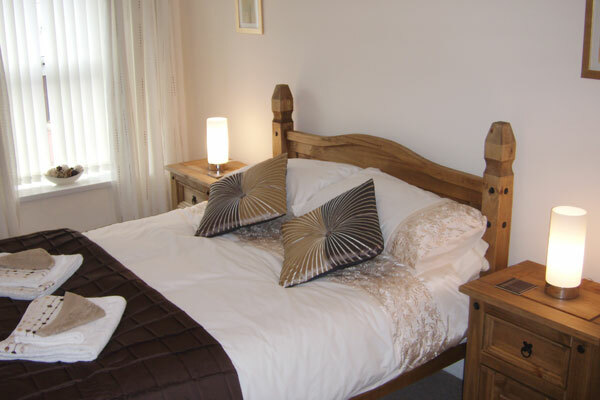 The spacious double bedroom is furnished with a solid pine double bed and matching bedroom furniture – bedside cabinets, wardrobe and chest of drawers, full length mirror and chairs. 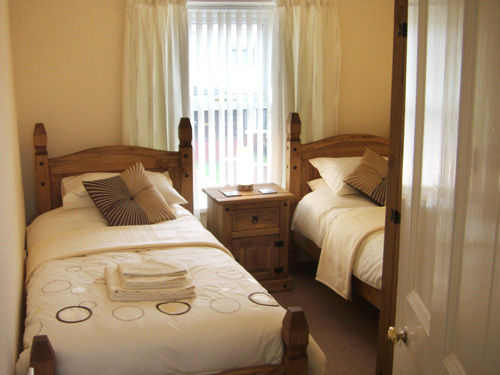 The twin-bedded room has two solid pine single beds and again matching bedroom furniture – bedside cabinet and wardrobe. The ground floor bathroom has a white suite consisting of a full size bath with a shower over, washbasin and toilet. 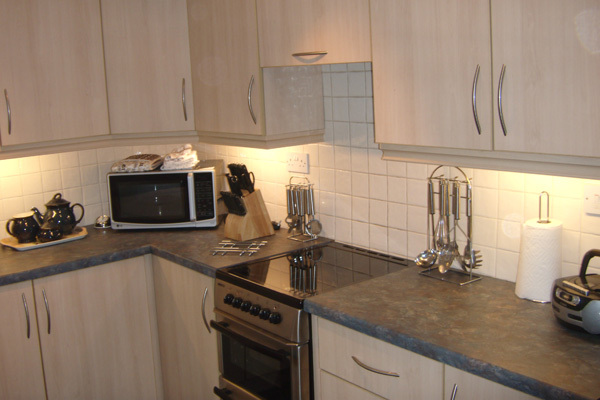 Bedding, towels (not leisure towels), electricity and heating are included in the price. 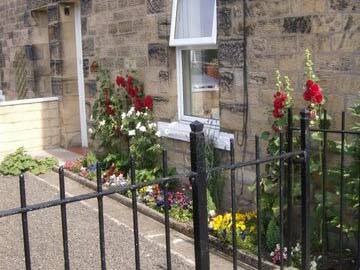 New guests welcome after 3.30pm and a departure time of 10am. 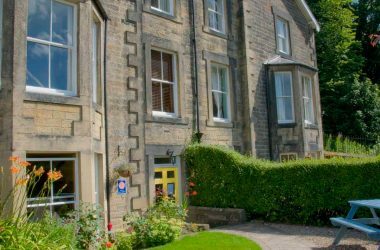 Short breaks minimum of 3 nights – subject to availability from November to Easter but excluding Christmas, New Year and school holidays – prices upon application. 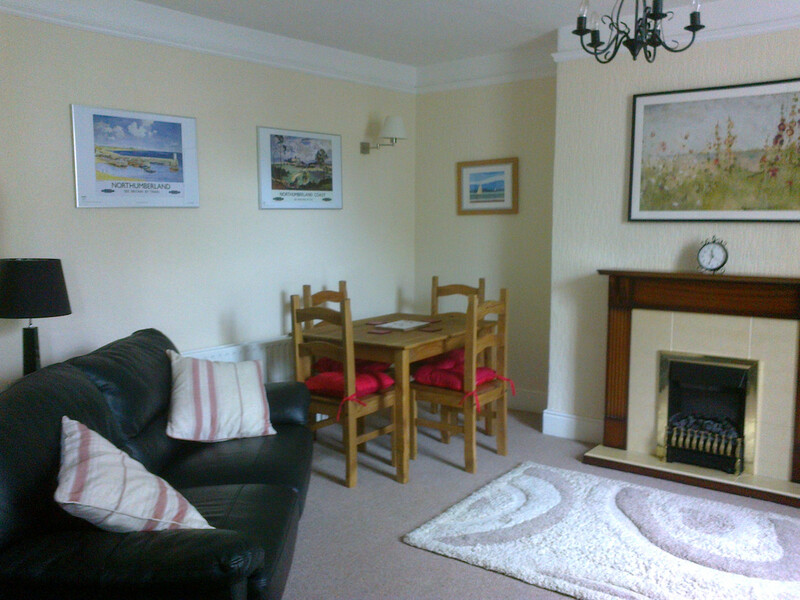 Short Breaks available November to Easter. Prices on application.